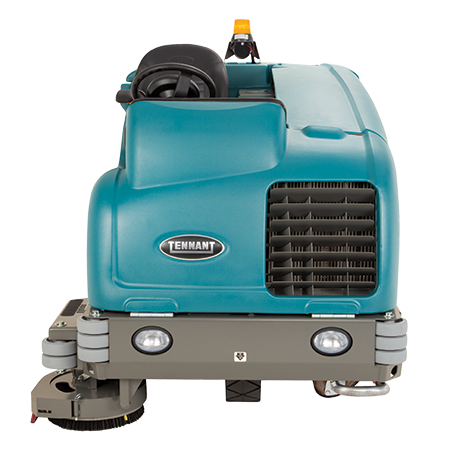 Tennant’s T20 Industrial Ride-on Floor Scrubber-Dryer can help reduce your cost of ownership with innovative technologies and durable scrubber components. 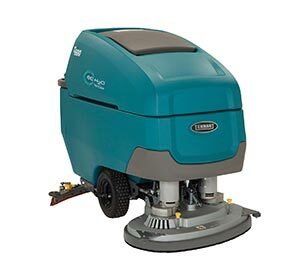 Tennant’s T20 Industrial Rider Scrubber provides excellent cleaning in industrial environments with features designed to maximize productivity and provide high-performance results. Achieve excellent cleaning results with aggressive scrubbing and MaxPro²™ hydraulic technology. 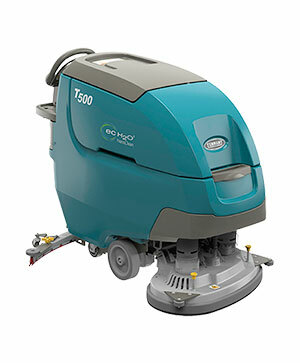 Maximize productivity with ec-H2O™ technology* for cleaning up to three times longer than conventional scrubbing. Increase visibility with cab-forward design, open sightlines, and steering-wheel-mounted controls. Provide an easy operator and maintenance experience with intuitive controls and easy-to-identify yellow touch points. Minimize costs and protect your investment with durable and quality construction. 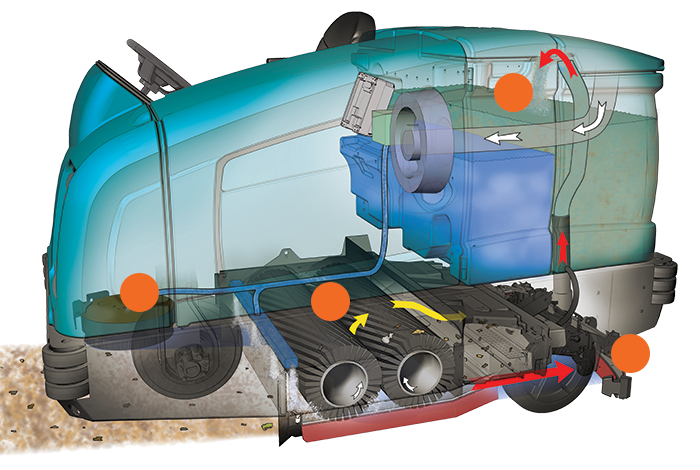 Get superior cleaning performance from your T20 with TennantTrue® Parts that have been designed specifically to help maximize cleaning effectiveness in one pass and achieve better cleaning performance at a lower total cost. Hover over points of interest for more information. Achieve better performance while lowering costs associated with rework, labor, safety and maintenance by using genuine TennantTrue® brushes, specifically designed for your T20 machine. Don’t settle for less - choose TennantTrue® brushes! The squeegee is one of the most critical parts on your T20 Scrubber. Only genuine TennantTrue® squeegees are designed specifically to fit with your T20 machine to deliver exceptional liquid collection and pick-up for optimal cleaning performance. The correct fit helps reduce downtime and service calls, lowers labor costs and puts money back into your business. Optimal performance for your T20 depends on Planned Maintenance. Rely on Tennant’s factory-trained service network for unmatched knowledge and expertise to maintain your machine and keep downtime to a minimum. Tennant can offer four different service plans, depending on your requirements. Assures complete peace of mind, a response time within 24 hours including optional weekend coverage, maintenance and breakdown coverage, predictability of costs and helps to maximise uptime and equipment lifetime. Provides 48 hour response during weekdays, maintenance and breakdown coverage, predictability of costs and helps to maximize uptime and equipment lifetime. Preventative maintenance at a fixed price with reduced call-out and labour rates for repair visits. Pay as you go preventative maintenance plan with reduced call out and labour rates. This chart summarises the benefits for each service proposition and shows which services are included in your specific contract. 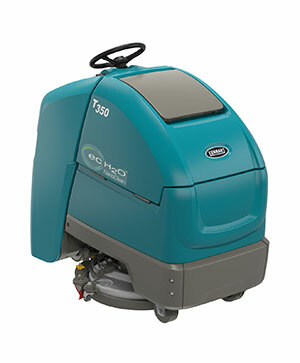 Industrial-strength cleaning performance, innovative technologies, and quality construction reduce cost of ownership. Scrubbing side brush increases productivity by expanding your cleaning path up to 54 in / 1,370 mm. 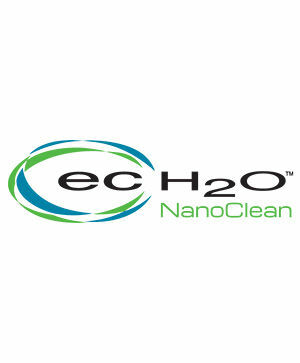 Innovative ec-H2O™ technology reduces costs associated with chemical purchases and reduces water use. Heavy-duty wraparound steel bumper and optional rear squeegee guard help protect your asset from damage upon impact. Heavy-gauge steel frame and corrosion-resistant Duramer™ body construction extend machine life. Innovative features provide health and safety benefits for operators, employees and customers. Open sightlines, spacious operator compartment, and full front shroud ensure operator safety and comfort. ec-H2O™ technology reduces the risk of slip and fall injuries by maintaining high-traction floor surfaces and reduces chemical handling. PerformanceView™ on the optional Pro-Panel™ allows operators to view their cleaning path without having to turn around in seat, promoting safe operation. Optional overhead guard protects the operator from falling objects and debris. Easy-to-clean solution and recovery tanks allow for complete visual inspection and cleanout, reducing the potential for mold and odors. Intuitive controls and maintenance features help maximize uptime and ease of maintenance. Touch-n-Go™ control module featuring 1-Step™ start button reduces training and simplifies operation. Optional Pro-Panel™ touch screen control module simplifies operation and maintenance with a high-visibility screen, intuitive controls and operator videos. Easy access design offers quick service access and visibility to on-board diagnostics, helping minimize downtime. Easy-to-identify yellow maintenance touch points and no-tool squeegee and brush access simplify maintenance. Optional spray hose makes machine spray-down and cleanup quick and easy. Heavy-duty cleaning system delivers consistent results even in the toughest environments. Leave a clean path with Dura-Track™ parabolic squeegee that provides exceptional water pickup. 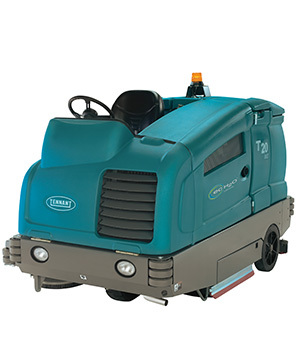 Optional high-powered pressure washer allows for easy blast-cleaning of hard-to-reach areas. Cushioned corner rollers help protect your facility and machine from damage. MaxPro²™ hydraulic technology provides consistent power to the brush drive motors regardless of floor surface changes. 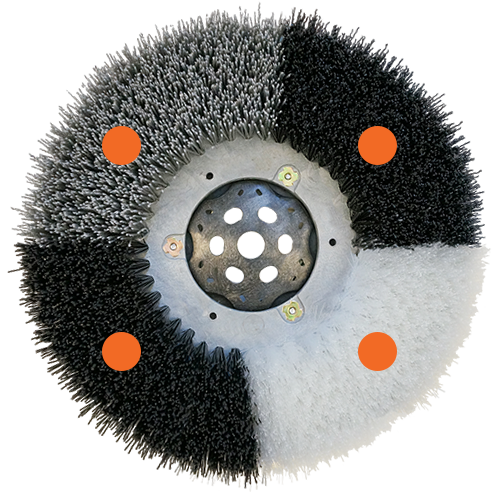 Dual cylindrical brushes or three gimbal-mounted disc brushes offer cleaning flexibility to meet the requirements of your environment.